Starting the new year's eve with work (as usual), back-to-back interviews, meetings, recordings and working on various posts, ideas among several other things kind of took a severe toll on my body. I felt totally drained out a week before the Marathon and had almost thought of giving up. Fortunately, I worked out things in my favor and after some rest, training, I was back on my feet and successfully completed the half marathon at the SCMM (shall do an outfit post featuring the marathon gear that I wore). Honestly, this review couldn't have come at a better time. Just a day after the marathon, I was back to my usual routine of being on my toes like a ballerina all day. My skin, being the sensitive skin that it is, as usual reacted to the kind of sleepless nights and crazy days schedule that I have had. Lakme Absolute Salon came to my rescue with one of their new packages - The Hangover Haul, which was introduced post NYE. Honestly, the only kind of hangover I can suffer is from work and the folks at the salon promised to pamper my skin and get rid of the stress. Well, that was a good enough incentive. Watch my detailed review of the Hangover Haul and get set to win a chance to experience this service yourself at a Lakme Absolute Salon near you. - Your answer should not be more than 100 words. - Please add the hashtag #LakmewithDancebee with your response. - The participant can leave their response on any of our social media pages: Facebook | Twitter | Instagram | YouTube or in the comment box under this post. - Participants are allowed to post multiple responses. - The contest is open to Indian residents only. - Any response posted after the deadline or those who have not followed the rules, will be immediately disqualified. We will announce one winner at the end of this contest. If you think you totally deserve this one, then rush! Participate now. 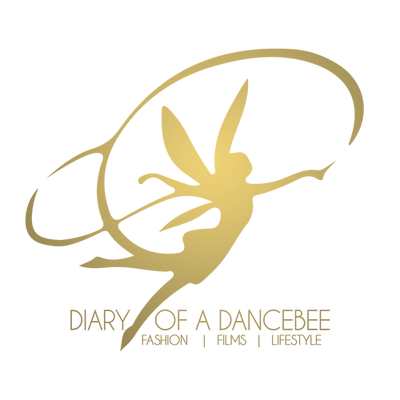 Keep those responses coming in and if you want us to review any specific product during the ongoing Beauty Month on Diary of a Dancebee, do let me know! I am always open to feedback on any of our social media pages. #LakmewithDancebee I am also doing my Montessori course online simultaneously. As I am already working as a teacher. Being a working mom, I am on my toes all the time. I have to also come home and do the usual household chores and also study at the same time. Multitasking becomes really very tough for a woman like me. Life becomes really very stressful and feels like there is just no time for me. This Lakme Hangover Haul will come in like a dream come true. #LkamewithDancebee I want to get rid of stress kida (insect) from my brain box as it affect my health. Being working I have to manage both for office & kitchen. I am travelling from home stress to office stress = (Stress)2 * infinite. I want to change my personality too. So Lakme hangover haul is right station for me. Which also enhance my confidence of women hood. So I wanna fly high into the sky & eliminate (stress)2 * infinity by pampering my normal skin with Lavish Lakme Salon. I like facebook, twitter, Instagrame, youtube subscribed all page done.